Fountaine Pajot Astrea 42 uit 2019 te koop op Botentekoop.nl. We have 1 Astréa 42 in pre-order for delivery feb 2020! This boat is still available and you can still configure the boat completely. A unique opportunity to have your new Astréa 42 being delivered before the season 2020 will start! 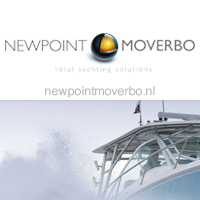 Goedendag, Ik heb interesse in uw advertentie Fountaine Pajot Astrea 42. Kunt u contact met mij opnemen.